Business Supply Information on Cleanroom Supplies, Disposable Apparel, Gloves, Swabs, and More. 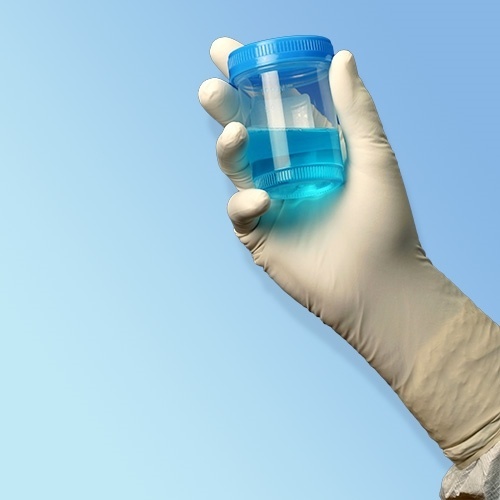 You should acquire the right cleanroom disposables for your controlled or sensitive workplace. The correct apparel will prevent the contamination and subsequent compromise of the equipment and products in the environment. Under ideal circumstances, you should acquire apparel to cover the entire body to minimize the risk of pollution and promote optimal worker protection. However, it is also important to evaluate the specific needs of your commercial, industrial or medical operation. Here is a practical guide on the essential disposable apparel for your cleanroom or other controlled work environment. 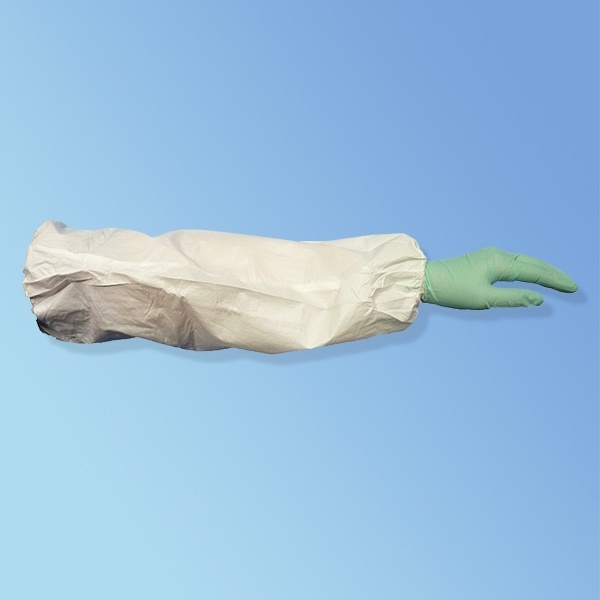 Disposable cleanroom gloves are designed to facilitate contamination control in the workplace. These are essential for your environment if you need to guarantee sterility of areas such as laboratories and cleanrooms. When choosing your gloves, you should consider the workplace needs in terms of glove sterility, hand sizing and allergy concerns. You will find a range of sterile, latex and nitrile gloves online at Harmony. Cleanroom Gloves are disposable gloves designed and clean-processed for contamination control and sterility required work environments including cleanrooms, laboratory and ESD work areas. Minimize sub-micron particle contamination by using gloves designed and manufactured for Cleanrooms. 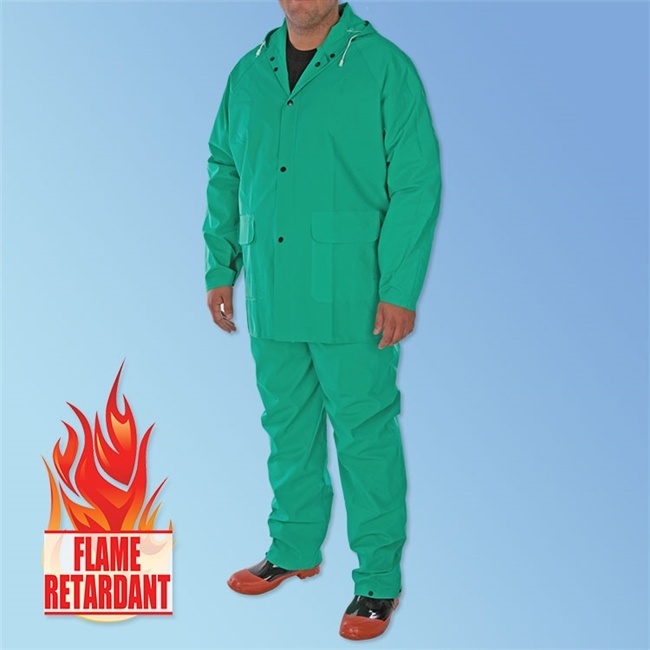 Disposable coveralls provide whole body protection, minimizing contact with contaminants. Coveralls are ideal for use in your workplace if you are involved in processes such as mixing chemicals, spraying liquids and handling particulates. When purchasing your cleanroom coveralls, you should compare the benefits of using a standard coverall versus choosing apparel with attached hood and boots. Disposable Coveralls provide protection from chemicals and particles in cleanrooms, laboratories, production environments, and more. Cleanroom lab coats, frocks and jackets are perfect for protecting workers against soiling and controlling workplace contamination. There is a range of cleanroom disposables in this category, and you can choose the most suitable in terms of material, apparel size, general design and features like pockets. Whether you are interested in low lint apparel for general industrial application or microporous coats for cleanrooms, you will find suitable products at Harmony. Disposable lab coats and frocks offer protection without having to worry about laundering. Simply wear one and dispose of it properly after each use. Frocks and lab coats are frequently used in industrial applications such as cleanrooms, laboratories or medical settings. Shoe covers are essential products for protecting specific spaces against contamination due to particles lingering on shoes. 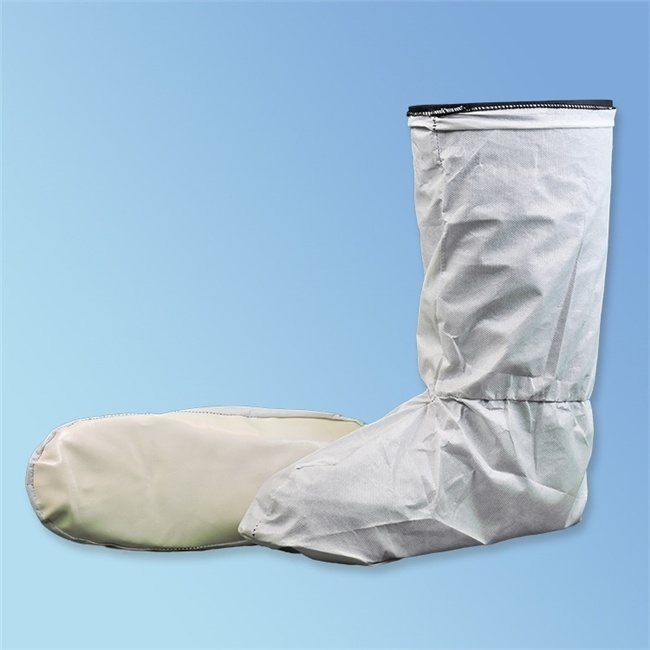 If you have a controlled work environment such as a medical facility, cleanroom or pharmaceutical operation, you can invest in heavy-duty shoe covers. There are also light-duty shoe covers for general uses like open house attendance. These products can be used for an amazing array of applications, from preventing dirt accumulation from repairman and open houses to more demanding jobs in cleanrooms, medical facilitates, pharmaceutical environments, food processing and industrial spaces. Work boots are often needed in workplaces such as laboratories, processing operations and cleanrooms for worker protection. However, these can increase workplace contamination. Disposable boot covers are designed using tough material for resilience, and the opening is elastic for a close fit. You can also choose fluid-resistant and skid-free covers for optimal performance. Keep dirt and dust out of work spaces and keep employees safe while moving about your lab, cleanroom or work area. Avoid cross-contamination by keeping boots clean with disposable boot covers. 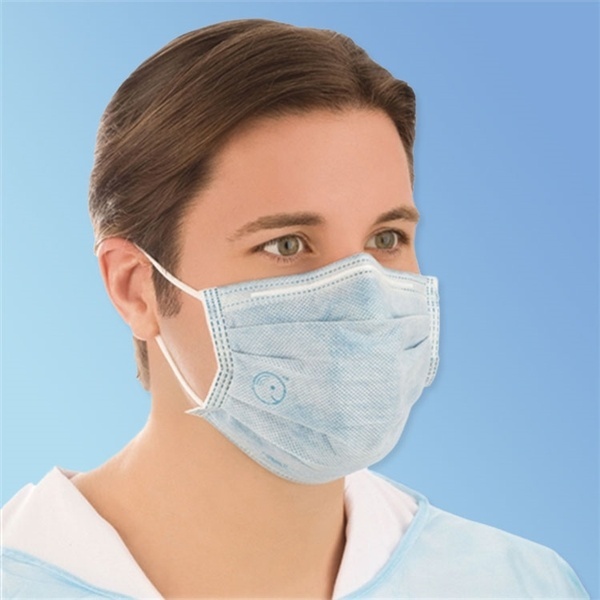 Cleanroom face masks are crucial for protecting the work environment and the worker from contamination. 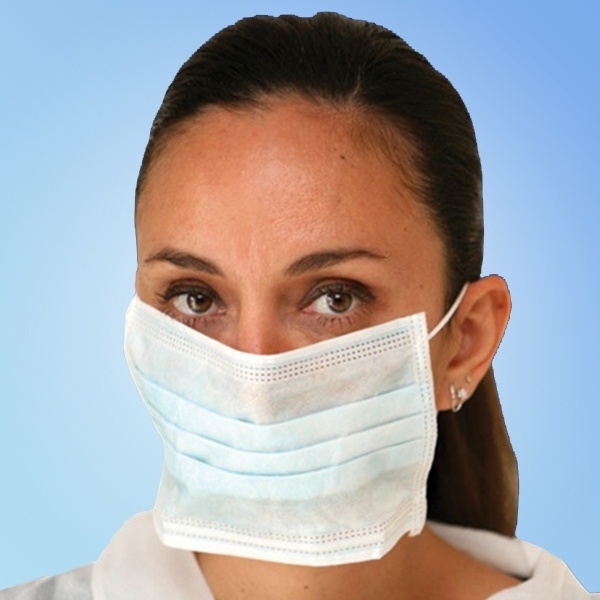 When shopping for face masks for sensitive applications such as research facilities, medical manufacturing and laboratories, you should choose disposables with ear loops and cleanroom rating for optimal protection. If you work in a cleanroom, you know that one of the most important elements of cleanliness and safety within that environment is protecting your body and the area from contamination. Wearing cleanroom masks can make a critical difference, but not all masks are the same. They will help protect the environment from contaminants from your mouth and body. Disposable beard covers are designed to prevent the contamination of critical work areas by loose hairs from the beard. These cleanroom disposables are indispensable in laboratories and food processing operation. It is important to note that the wrong beard covers can be uncomfortable. Therefore, ensure that your chosen products are lightweight and breathable. 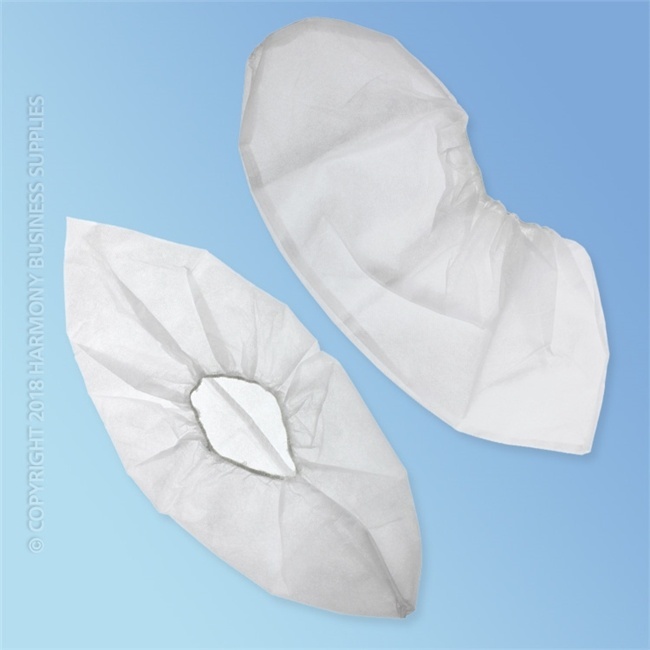 Disposable Beard Covers prevent loose hairs from falling into food or critical/sensitive areas. Help keep your work environments clean and safe. Sleeve protectors or disposable arm sleeves provide an additional layer of shielding against workplace hazards. These cleanroom disposable will create a reliable shield over bare skin and clothing sleeves against chemicals and particles. The sleeves are made using a range of materials, including polypropylene, microporous, Kevlar and polyethylene. Disposable sleeve protectors (or arm covers) are used as another layer of liquid or chemical barrier protection for the forearm. Protective sleeves can be worn over bare skin or over clothing. Bouffant caps are necessary for a range of workplaces, including food processing, pharmaceuticals and laboratories. The caps will prevent hairs and other particles from contaminating products and equipment. Moreover, the apparel keeps hair from the neck and face. When shopping for bouffant caps, look for breathable products. There are many industries when wearing a cap is mandatory, including food processing, electronic, pharmaceutical, medical, science labs and general industry. These caps help to prevent minute particles from reaching products or equipment. In addition, they effectively keep hair out of your eyes and away from your work area. Cleanroom wipes are not the same as regular wipes. These products have low levels of lint to prevent particle contamination in the workplace. Also, these products are softer to guarantee that sensitive devices and equipment are not damaged. 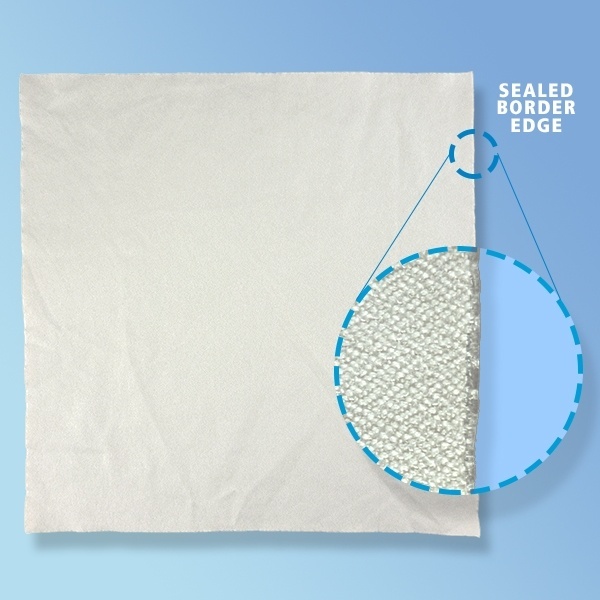 Moreover, you can choose wipes with higher absorbency and resistance to chemicals and abrasion. Like the cleanrooms themselves, cleanroom wipes have different classifications to be used in corresponding cleanrooms. Choose cleanroom wipes that are produced in cleanroom environments, to ensure the highest possible quality. 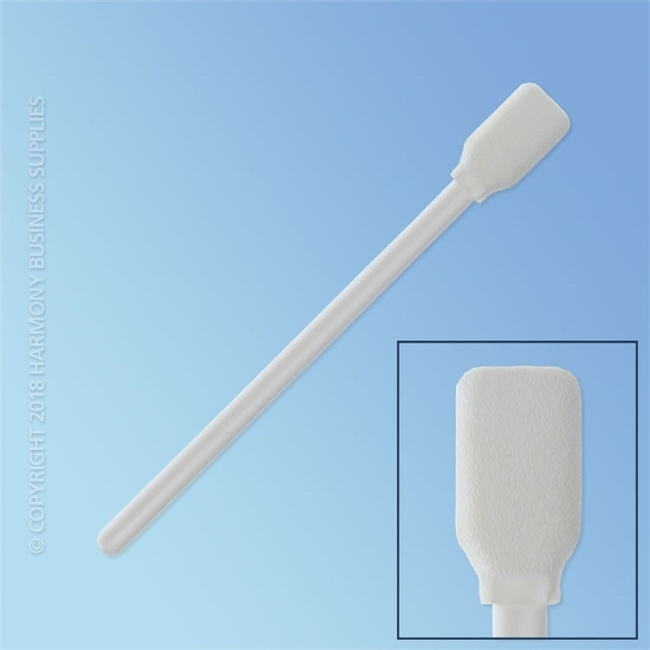 Cleanroom swabs are high-quality precision swabs designed for use in critical environments. Unlike standard swabs, these cleanroom disposables provide residue-free performance. Therefore, they will not leave particles which would contaminate your sensitive space. When choosing cleanroom swabs, you should check the sizing, shaft materials and tip design. Write, print, and photocopy in clean environments. Without worry of paper particle or pen ink contamination. 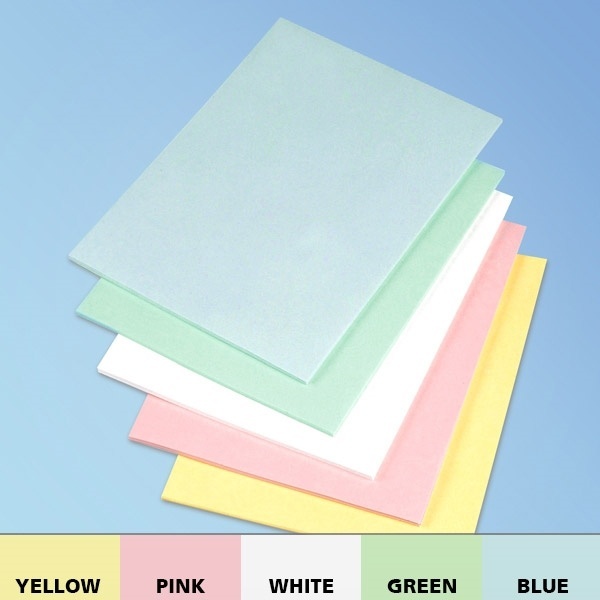 Keep your area clean of paper contaminants. Writing, photocopying and printing in clean workplaces can be challenging because of the potential of ink and paper contamination. Therefore, if you are working in a sensitive environment, you must purchase cleanroom documentation products. You will find ideal products for your needs, including notebooks, pens, sticky notes and clipboards. 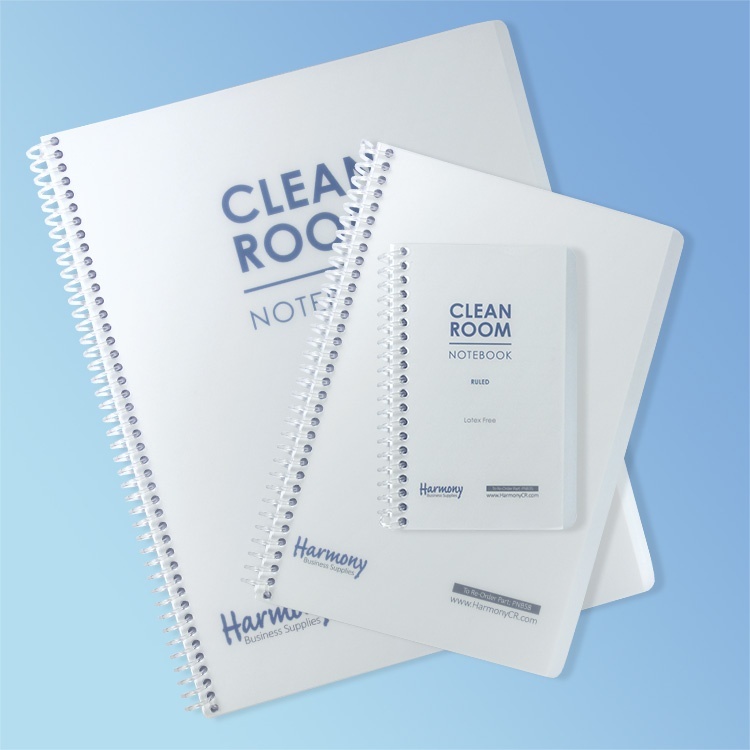 If you are looking for cleanroom disposables for your commercial, industrial or other operation, consider looking for quality products from Harmony Business Supplies. You will find the full range of protective apparel and other essential items for your cleanroom and critical environment at affordable prices. Protective and Safety apparel can seem like simple protective equipment. But selecting appropriate apparel can be a daunting process. Some industries require employers carry out risk assessment and provide safety equipment. It’s important to understand what workplace hazards are and how we can address them. As an employer, it’s your responsibility to protect your employees from occupational risks. For that, you need to put in place a risk management. Relying solely on protective apparel to keep safe is only acceptable when you have carried out hazard assessment and control. Selecting the right protective equipment for the nature of your employee’s specific job can be a challenging task. Consider applicable laws and draft safety policies and procedures. It is also important to understand limitations of your protective equipment. If we take an example of a pair of protective eyewear, you will find a warning label saying, “not a substitute for good safety practices and engineering controls”. It means that PPE is the last line of defense against occupational hazards, not the primary one. There are so many different types of safety apparel that you can choose from depending on the environment of your facility or workplace. 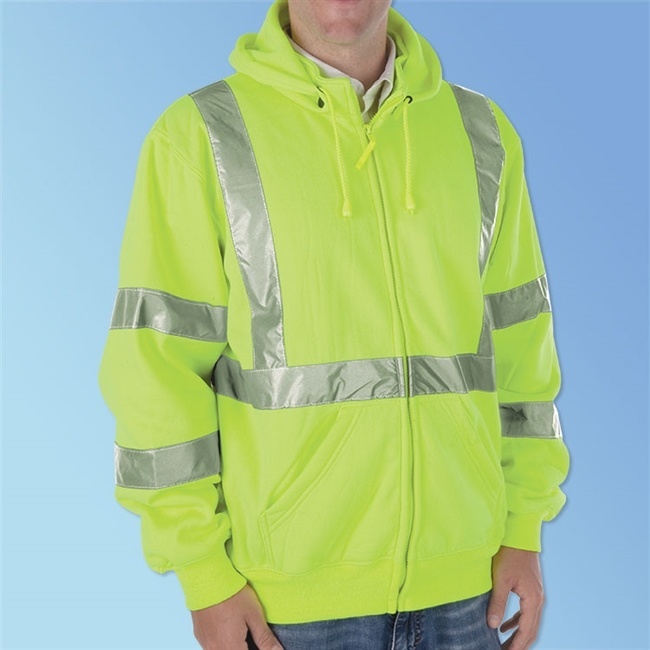 High Visibility safety apparel is a kind of workwear that improves your visibility at night or in bad weather. PPE or protective apparel protects the wearer against many workplace hazards. Such as dirt, chemical spills, containing hair and particle generation, etc. Safety Apparel clothing is the basic need of workers who have to deal with various hazards on daily basis. However, these safety items allow for particle penetration. PPE apparel handling can increase the likelihood of contamination. People who have to work in strictly controlled environments can’t wear regular PPE apparel as it can contaminate the environment. Use Disposable apparel designed for cleanrooms instead. Defined as PPE apparel designed to make the wearer more visible. Low visibility is one of the causes of fatal occupational injuries at construction sites. Wear high-viz shirts, pants, coveralls, jackets, or any other high-visibility safety apparel to ensure workers’ safety in low-light working conditions. Whether in office or industrial setting, proper lighting makes all work tasks safer because the sense of sight generates about 85 percent of the information. If your workplace does not offer proper lightning, make sure your staff wears the right high visibility apparel for the job. These safety apparel protect the wearer against heat and fire up to a certain level. You shouldn’t completely rely on fire retardant clothing when working with open flames. Compare your work environment or the potential temperature extremes with the ability of your safety gear to withstand heat. In addition to rubber gloves and aprons, PPE clothing is also designed to prevent harmful exposure to industrial chemicals. Disposable Apparel Protects yourself from particles, liquids, and chemicals in your work environment. Different materials to suit your specific application and offer different areas of protection. CE apparel protects the wearer as well as the critical product or production process from contamination. The flat-folded CE safety wearables assure that particles do not escape into the critical environment. 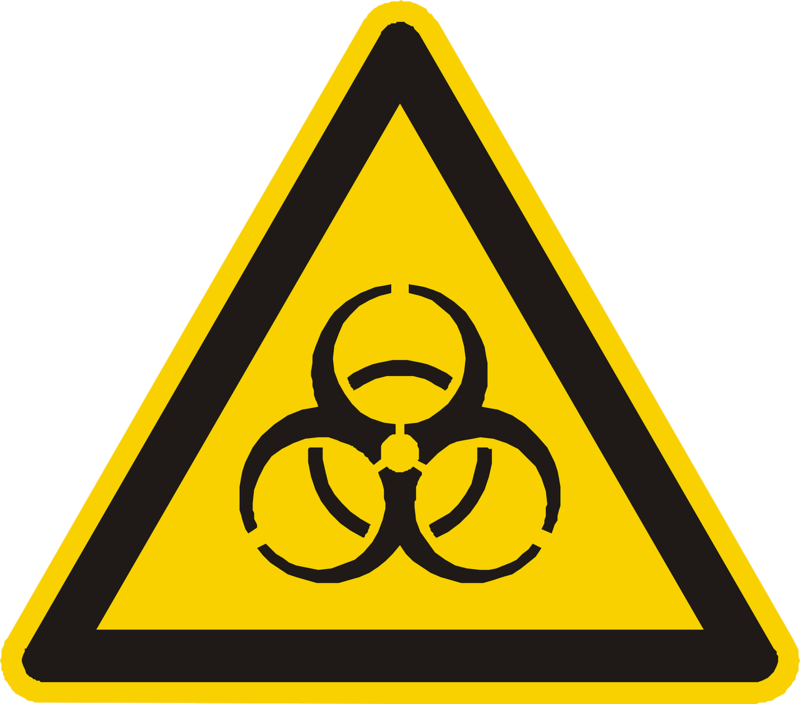 In cleanrooms, all sources of contamination are strictly controlled. Clean rooms protective equipment is specifically designed to prevent airborne particles from entering the sterile atmosphere. Industries such as pharmaceutical, medical, food, and space aeronautical maintain clean rooms as a part of their production processes. Protective apparel plays a critical role in maintaining the sensitivity of a manufacturing environment. Diverse protective product used by a large number of industries; notably, food and pharmaceutical. Face masks not only help the wearer inhale clean air but also function as a tool to maintain a healthy environment. From Antiviral face masks to Isolation masks, there are hundreds of different types of face masks with literally limitless applications. They are manufactured for both protective and safety applications. CE coveralls provide a dry and liquid particulate barrier protection, reducing contamination risks to maintain the cleanliness of the cleanroom. 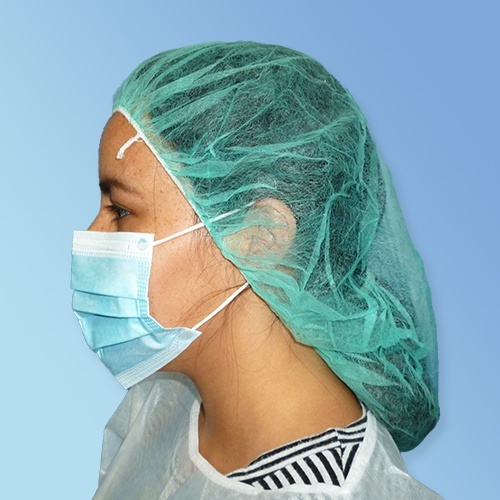 Disposable protective apparel such as beard covers and hair nets are the top choice of companies associated with food, research, medicine, and laboratories. Selecting the right protective or safety apparel for your industrial or commercial application requires diligence. Communicate with your industry partners whose employees deal with the same kinds of hazards. Ensure your employees’ safety. Harmony Business Supplies is a well-reputed wholesale supplier of PPE and occupational apparel. We provide premium quality occupational garments and equipment at affordable rates. You can find a broad assortment of disposable and safety apparel. Visit our site for more information! 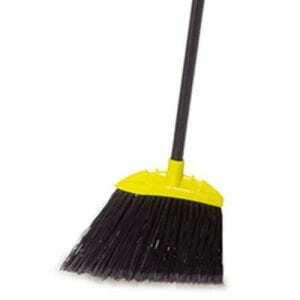 Janitorial Supplies are an essential part of work safety. Read on for tips on protecting yourself and the office using professional cleaning supplies. The workplace environment has a significant impact on employees’ performance, productivity, and well-being. No matter the industry, janitorial supplies provide a clean workplace that will keep your staff healthy and efficient. A clean workplace means something more than having a shining building. There are many signs which can reflect poor sanitation conditions in the workplace. Some of these signs are dusty and dirty floors, liquid spills and leaks. Unnecessary materials lying on the shop floor, broken containers, overflowing containers and dust bins, etc. Apart from preventing germs and illness, maintaining dry and clean floors will help you reduce instances of slips and falls in the workplace. 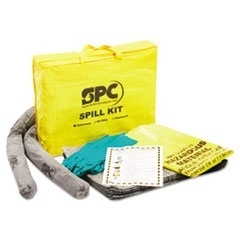 Allwik Economy Spill Kit is a recommended product to clean oil, water-based, and chemical spills. GP MAXX Enhanced Heavy Weight Sorbet Pads is another simple and effective solution to deal with industrial liquid spills. 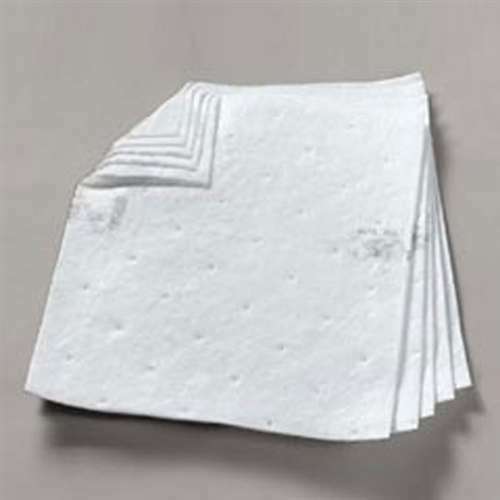 You can also use 3M Sorbent Pads that clean up spills quickly. You can talk to your Commercial Janitorial Supplier to know what cleaning products are best for your facility. Moreover, recommended floor cleaners should be used to remove scale, rust and oxides from floors. It’s important to use products that do not contain harmful chemicals. Make sure that your workplace adheres to basic standards of hygiene. Prevent the spread of disease-carrying germs which are rampant in shared spaces like office desks and washrooms. 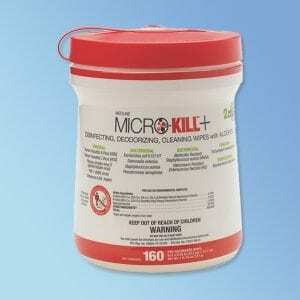 Micro-Kill Disinfectant Wipes provide an easy and cost-effective way to prevent the spread of germs. It is effective against difficult-to-kill microorganisms including VRE, MRSA, and tuberculosis within a few minutes. These wipes are also effective against bloodborne pathogens hepatitis B, C and HIV-1. 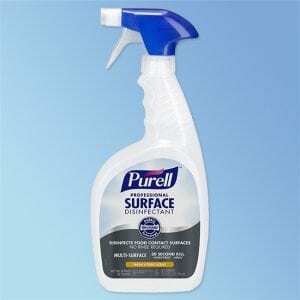 Purell Professional Surface Disinfectant Spray is a professional surface sanitizer which deodorizes, cleans, and disinfects a variety of surfaces. Without leaving any harsh chemical residue or fumes. Equip your facility with Professional Janitorial Supplies and educate your staff on how to make a good use of these cleaning solutions. It is hard to see them, but vapors, dust and other dangerous flying objects can create a hazardous environment for your employees. Creating an effective ventilation system in your facility can reduce airborne transmission of respiratory infections. 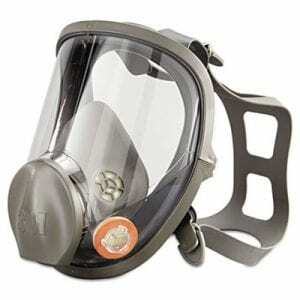 Yet, in some industrial environments, workers need personal protective equipment such as 3M Full-Face Reusable Respirator to maintain a healthy and productive work environment. The use of dehumidifiers can also help cut air pollutants and promote clean air. An unhygienic workplace is likely to produce more cases of employee absenteeism which could cost your business more than you might think. Start with the basics and ensure your facility is being cleaned up on daily basis. 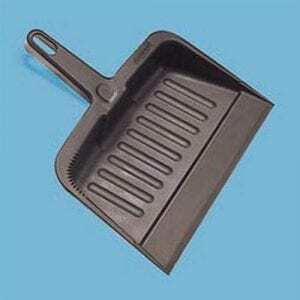 Basic cleaning equipment such as Large Plastic Dust Pans and Lobby Dust Pan Brooms are essentials which play a key role in day-to-day cleaning activities. If you allow waste materials and trash to pile up, it will not only produce clutter but also prepare safe havens for pests which is not at all good for your work environment. So, make sure waste materials are disposed of regularly. Considering the low costs of professional cleaning supplies, establishing a clean and safe environment should not be a expensive. PPE protects your staff against many health and safety risks. From chemical spills to sparks and moving objects, protective equipment plays a key role in ensuring employees’ safety. Premiere Pro SMS Coveralls are a simple example of how a piece of garments can protect the wearer against many hazards. 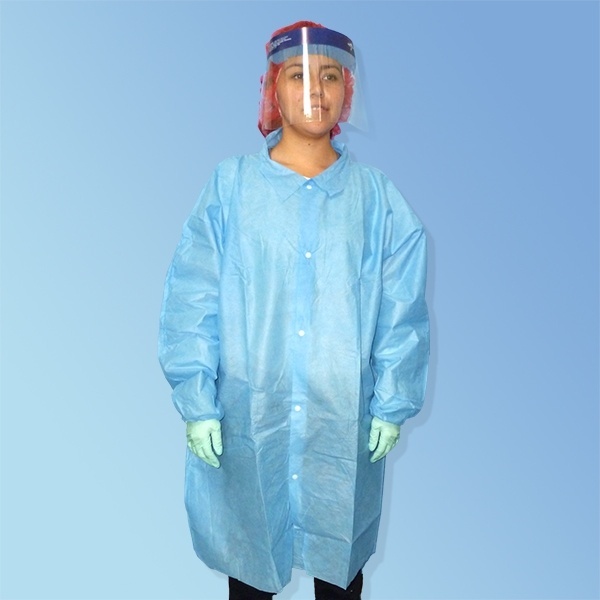 Similarly, Premier Pro Blue SMS Frocks is highly effective PPE ideal for industries such as the cleanroom, pharmaceutical, laboratories, food industry, non-toxic liquid handling, and power plants. Apart from providing necessary protective equipment to your employees, provide them with instructions, supervision, training and encouragement so they can work safely and responsibly. Workplace environments should be hygienic and safe for workers and for those who are involved in the production or material handling process. Implementing a workplace hygiene policy will ensure that all your staff is following the same standards and using commercial janitorial supplies to avoid all kind of hygiene-related diseases. If you think there is nothing wrong with your clean-looking workplace, think again. Around 3 million nonfatal workplace illness and injuries were reported by private industry employers in 2012. When it comes to the workplace, maintaining personal hygiene and cleanliness needs professional cleaning supplies. Harmony is a trusted source of premium quality janitorial supplies. We strive to help businesses maintain a clean and germ-free work environment by providing premium quality cleaning and commercial janitorial supplies at affordable rates. Visit our online store to learn more. How Do You Choose The Best Food Safety Disposable Apparel? Poor personal hygiene leads to serious health issues. Especially in facilities where people process and serve food products. The solution? Food Safety Disposable Apparel. Business owners and safety managers have to ensure that customers get 100% safe food. Businesses in the food industry have to follow food safety standards and rules. Develop strict safety practices for your work environment and help avoid foodborne illness. Millions of food poisoning cases happen every year. People suffer food poisoning when they consume contaminated food. inadequate cooking, contaminated equipment, inexperienced food handlers, and absence of Food Safety standards. Consider all safety rules while handling food to prevent various diseases. From the moment food processing begins, to serving time, safety should be at the top of your list. disinfectants, food gloves, hair nets, and beard covers. Only a few factors related to food handling lead to a large proportion of foodborne diseases. Food handlers must understand the right process and temperature required to kill pathogens. Food service safety products can help your staff maintain cleanliness throughout every process. 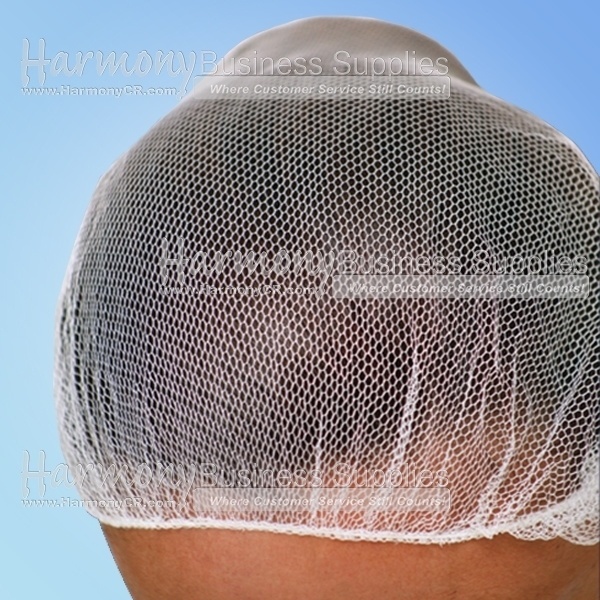 Light and Disposable, hairnets are small pieces of fine net that people wear to hold hair in place. Keep hair contained during food preparation or other jobs affected by human hair. Hair nets help food handlers keep the work area hair-fee. They provide your employees a comfortable way to restrain their hair and do their job . Honeycomb Hair Nets and Disposable Bouffant Caps are dependable and comfortable options for food service apparel. Beard nets are another great product for food handlers who have facial hair. Food industry beard covers and hair nets help avoid contact between hair and food. Workers who don’t even touch the food should still have to wear hairnets. There is a common misconception that beard or hair nets are uncomfortable. Beard covers are super lightweight and you’ll forget you’re wearing it! The amounts of bacteria your body contains and sheds is surprising. Maintain good hygiene by providing protection. Use disposable food gloves made from various materials: latex rubber, vinyl, or nitrile. There are many factors that define the effectiveness of such safety products. Vinyl food gloves protect foods from direct skin contact. They are easy to check and enforce than hand washing frequency. People can also use them to improve grip and prevent cross-contamination. Sometimes food handlers wear the same pair of gloves while performing different tasks. Using the same gloves for food and non-food tasks will cross-contaminate your work. Don’t use the same pair of gloves for: money handling, food handling, cleaning, answering the phone, etc. If your food requirements involve tasks other than handling food, remove and discard the food gloves. Perform the non-food related job, then wash hands before wearing a new pair. 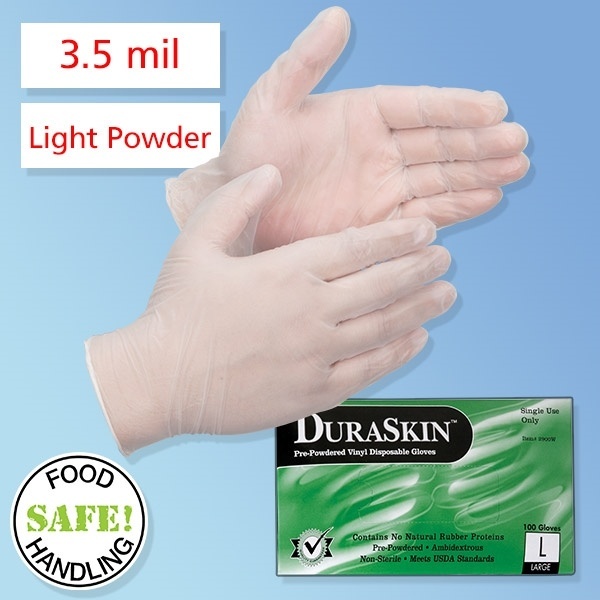 The use of disposable gloves is a common practice in most food businesses. Food handlers sometimes use gloves to protect their hands rather than protecting the food they process, which is a wrong approach. Cooked food can become contaminated when it comes in contact with the raw food. There are many activities that can lead to cross-contamination. When raw poultry items come into contact with the cooked item, or when someone prepares raw meat and then uses the same unwashed knife or hands to handle cooked meat. Develop a working environment where staff wash hands before preparing food. It is necessary to wash hands after handling poultry, fish, or meat. If some workers have an infection on their hand, make sure they cover wounds with the bandage. Besides wearing disposable gloves. Food is vulnerable to contamination. Keep surfaces used for food preparation clean. Food prep surfaces can be a reservoir of germs that can transfer into food and cause health concerns. Clean food preparation areas with sanitation products like Purell Professional Surface Disinfectant Spray and CHIX SC Food Service Towels that can also prevent contamination. Food safety standards demand that employees operating within food facilities take precautionary measures to ensure anything from their clothing and body does not contaminate food contact surface or the food itself. 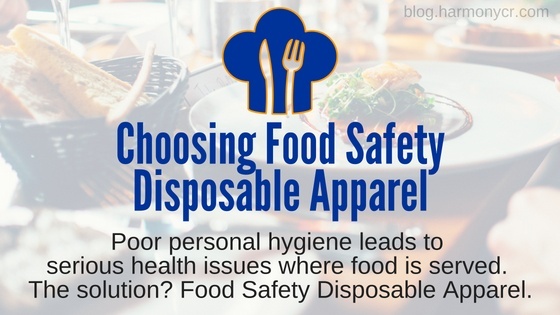 Minimize direct contact with food by wearing Food Safety Disposable Apparel. It is up to you to identify vulnerable areas and take steps to ensure safe food handling. For instance, you can make it mandatory to wear food gloves for people who work in food preparation. Define food service policies and hygiene standards so that your staff can comply. Almost every food working environment requires regular use of food handler gloves. Staff must change the gloves as often as they would have washed their hands. A business can find a variety of food service gloves, hair nets, beard covers, and other safety products. Yet, it is important to buy solutions that are both affordable and dependable. ● Polypropylene Beard Covers that cover beard and mustaches and keep hair contained. Good food hygiene within your facility is not something optional, it’s essential. Provide germ-free and safe food to customers, and achieve a good food hygiene rating. You cannot risk the reputation of your business by delivering contaminated food. Abide by food laws and keep your customers healthy by using the mentioned practices and food service products. We at Harmony supply Disposable Apparel and other food safety/service supplies to businesses across the US and the world. Browse through our site and find the best products at attractive discounts. We are determined to keep your workplace safe and clean. Give us a quick call to know more about our products. Hungry for more food safety info?